We are here for you with the best Terrazzo flooring in Australia. 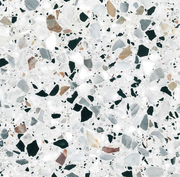 So if you are living in Melbourne and you need the best Terrazzo flooring in Melbourne, Australia, sydney, adelaide, brisbane, perth, darwin, canberra, hobart, newcastle, wollongong, cairns, geelong, townsville. Contact info: http://www. Looking For Verandah Heritage Tessellated Tiles in Melbourne? Looking for affordable and high-quality tessellated tiles for bathroom or kitchen in Melbourne ? Contact Victorian Mosaic Tiling today. We are your one-stop online shop for quality tile installation throughout Melbourne. Our tile ranges include porcelain, slate & limestone, tessellated and of course, Victorian-inspired contemporary tile designs. Searching for customised wardrobes installation service in Melbourne? We have got you covered! Desire Kitchens provide you with the quality wardrobe design to meet your requirements. We’ll take care of each stage of the process; from design to manufacturing and wardrobe installations. Our product range includes triple, double and single wardrobes. Looking for a great piece of tile coffee table? Victorian Mosaic Tiling offers the bespoke selection of furniture pieces right here in Melbourne. Our furniture collection includes the dining table, custom-made coffee tables and other traditional furniture pieces. Order our elegant mosaic styling tiled table for your home. Looking For Sash Window Repairs in Melbourne? Due to the nature of timber windows, they can become loose over time and this can allow draughts to enter the house. Draught proofing sash windows or any type of timber window repairs in Melbourne can resolve the issue. These problems can be solved by Marcelle’s Carpentry & Building by repairing your windows. Searching for reliable kitchen cabinet makers in Moorabbin? Desire Kitchens is a reputed brand in the custom made kitchen cabinet makers. Our kitchen cabinet offers the style, selection and value you need to bring your kitchen to life. We strive to get a full understanding of your project requirements and put together an innovative proposal of custom cabinetry. When you need reliable carpentry service in Melbourne, look no further than Marcelle’s Carpentry to provide the highest quality carpentry, windows repair, installation and renovation services. Marcelle is a qualified and experienced carpentry service provider that has provided services throughout Melbourne and have evolved into building new homes and renovating and extending period homes. Professional Australia-based healthcare hardware company offering cost-effective premium hand shower systems , grab rails , shower seats , shower curtains & tracks and access hardware for people with disabilities in compliance to AS1428.1-2009 For a quick quote, call 1300 138 086 today! Email:	sales@axesstrading. An innovative Spa company offering a range of Australian and USA Made Bathroom Spas, Outdoor Spas and Swim Spas. With over 30 years of experience Endless specialise in Salt Water Spas and Inground Spas and Swim Spas. Phone: 8769 7300 Email: jaclyn@endless.com.au website	https://endlessspa.com.au/ Address:. Watersave Landscaping providing professional landscaping design and construction to residential and commercial properties throughout Melbourne. Call Brad today for a free quote! https://watersavelandscaping.com.au/. We offers wide range of controller blinds & custom made Sheer Fold Blinds in Deer Park, Footscray, Hoppers Crossing, Sunshine& Melbourne Au. Read here for more information at http://www.stylelinehouse.com.au/. We are here for you with the best Terrazzo flooring in Australia. So if you are living in Melbourne and you need the best Terrazzo flooring in Melbourne, Australia ... Terrazzo flooring. Welcome to Apex Plumbing Solutions. We are your local plumbers offering 24 hour services and emergency callouts to residents in Sydney. We have been in the business many years and have built up a host of loyal customers who come back to us time and time again for our upfront and reliable services. info@apexplumbingsolutions. At Casey Roof Care, we offer the excellent roof painting services in Melbourne. Roof painting services is the great way to enhance the beauty of your home or building. Contact Us:- Casey Roof Care info@caseyroofcare.com 52 Craig Road Devon Meadows Victoria 3977 Australia 0487 472 511 Visit Here:-https://www. Inspiring LVT, Sheet Vinyl, Carpet Tiles, Safety Vinyl to the commercial flooring sectors. Aged Care, Education, Hospitality, Office Fitout, Healthcare. Call us today 1300 137 128. Simply Bathroom Solutions offers bathroom Renovate and Designs services in Balwyn, Camberwell, Canterbury, Hawthorn, Kew, Melbourne. Our professionals deliver quality custom bathroom design solutions. For more info visit our site: http://simplybathroomsolutions.com.au/ Email Id: enquiries@simplybathroomsolutions. 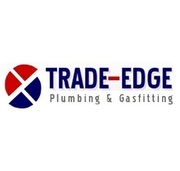 Are you looking for reliable Emergency plumbing service in northern suburbs Melbourne? Call us now on 1300 334 300 for a free quote.. Installation sealing and caulking, glazing, splash back, window frames, bathroom, kitchens, all types of pet doors. Address:Melbourne Noble Park North VIC 3174 Australia http://fivestarglassandcaulking.com.au/. At Caseyroofcare.com, we are expert in concrete tile and terracotta tile roofing restoration services in Melbourne. Visit our website to get a roof restoration quote! Call us at (03)90288795 or 0487472511 for further details! More Info:- Casey Roof Care 52 Craig Road Devon Meadows Victoria 3977 Australia 0487 472 511 info@caseyroofcare. Are you looking for ways to improve the security and safety features in your homes? The rolling security shutters are an apt choice as they are a reliable choice for deterring intruders from entering your homes or offices. At SydneyWide Shutters, we supply a range of quality security roller shutters to suit many applications including doors and windows to protect windows and doors of both your business or home. Australia wide coverage with 6 branches across Australia and one in New Zealand producing expanded Polystyrene products for exterior building cladding, insulation, packaging, produce boxes and seafood boxes. Automotive components made using Expanded Polypropylene for impact resistance and reducing weight and fuel consumption in cars. We offer a full range of Emergency plumbing services including blocked drains, leaking taps and roof repairs. Our Plumbers provide 24/7 plumber services in Croydon, Melbourne. For more information :- http://www.eastandhillsplumbing.com.au/247-emergency-services/. East and Hills Plumbing is an Expert roof plumbing company in Melbourne's Eastern Suburbs – Ringwood providing plumbers to both residential & commercial customers. For more information :- http://www.eastandhillsplumbing.com.au. At Taylor and Sons, we are glad to be Melbourne's first-decision handyman for over 30 years. Our group has many years of aggregate experience giving better pipes and gas fitting Services than a large number of private, business, and modern customers. Together, we have helped home change organizations, engineers, developers, property holders, and everybody in the middle of handle pestering repairs and distressing crises. About securing and dragging out the life of those esteemed belonging that live in your outdoor range; you need to ensure you are giving an ideal care. Your boat, car and caravans deserve astounding assurance, and the group at ModiForm can give you that certification. Our determination of carports and driveways sails in Brisbane is intended for prevalent protecting against Australia's harmful UV beams. Are you looking for a tile and grout cleaning service in Melbourne? Melbourne Carpet Cleaning offers great rates on tile and grout cleaning service in Keysborough. Our expert team understands the importance of keeping your tile, grout, and other hard floor areas sparkling clean! Call 0439 763 262..
We build luxury homes with a focus on personalized service, clear communication and high-quality materials to make your dream home a reality u31/25-37 Huntingdale Rd, Burwood VIC 3125 Australia Website:http://www.ramsaybuilders.com.au/ Email:info@ramsaybuilders.com.au Phone:03 9808 1911. Dial a Door has a long and lucky notoriety for assembling just brilliant security doors Melbourne. We have refined our broad range of style and quality to guarantee they ensure as well as supplement your property. We are not kidding about building a robust and dependable security boundary at reasonable rates. Choose the right team to beautify your home or business. At Unique Permeable Paving, we understand what goes into creating an exceptional exterior for your property. Our goal is to help you make the home of your dreams a reality, providing an exceptional range of services accompanied by simple, easy to follow advice that works to transform your exterior. Darbecca PTY Ltd is one of the best house Inspection Company based in Melbourne, Australia. We provide new house inspection, new construction inspection, private building inspectors, independent building inspector, and private building inspections services at affordable rate..
Home repair services, maintenance services Melbourne ads Melbourne, Home repair services, maintenance services classifieds Melbourne, Home repair services, maintenance services free ads Melbourne, ads for sale Melbourne, ads to buy Melbourne, FREEADSAustralia Page number 6-1. Find here ads for sale, to buy and rent in Melbourne. Goods for sale in Melbourne, vehicles for sale in Melbourne, Melbourne real estate for sale, Melbourne property for sale, property for rent in Melbourne, business ads in Melbourne, Melbourne business classifieds, services in Melbourne, Melbourne services ads, jobs in Melbourne, pets for sale in Melbourne, Melbourne dating, Melbourne cars for sale.